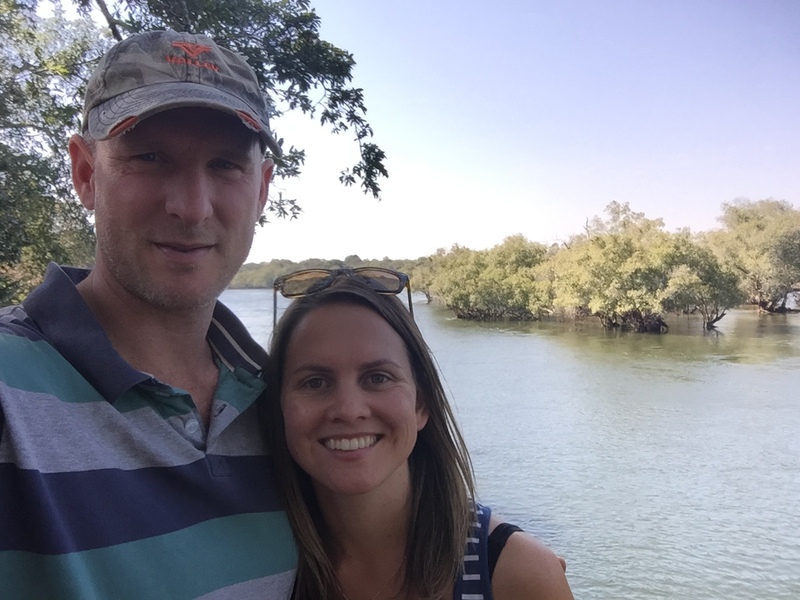 Before Erik had even received his work permit, or even signed a contract for that matter, I had a growing list of places I wanted to see in Zambia. Kafue National Park being very near to the top of that list. 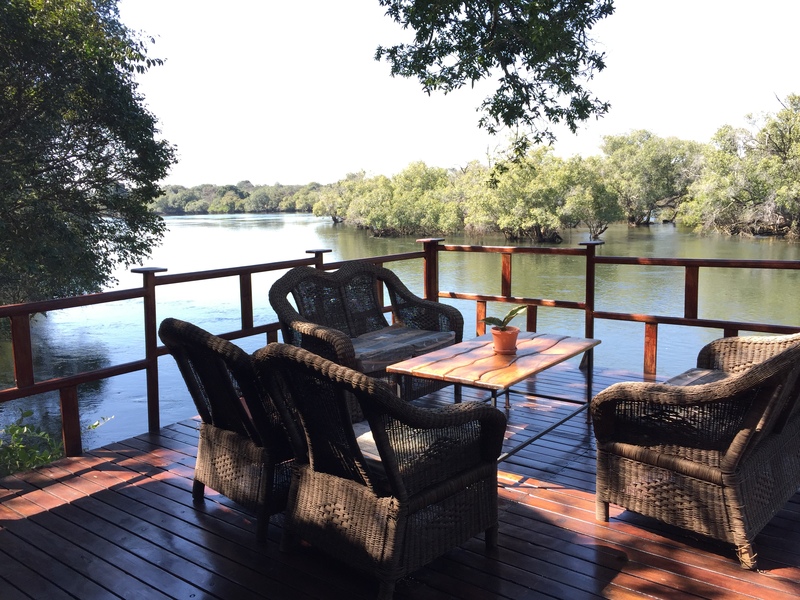 We had our first long weekend due and so we arranged to go to Kafue River Lodge; how very wonderfully convenient that one of Erik’s very good friend, Paul Barnes, happens to be an owner of that spot on the banks of the Kafue River. 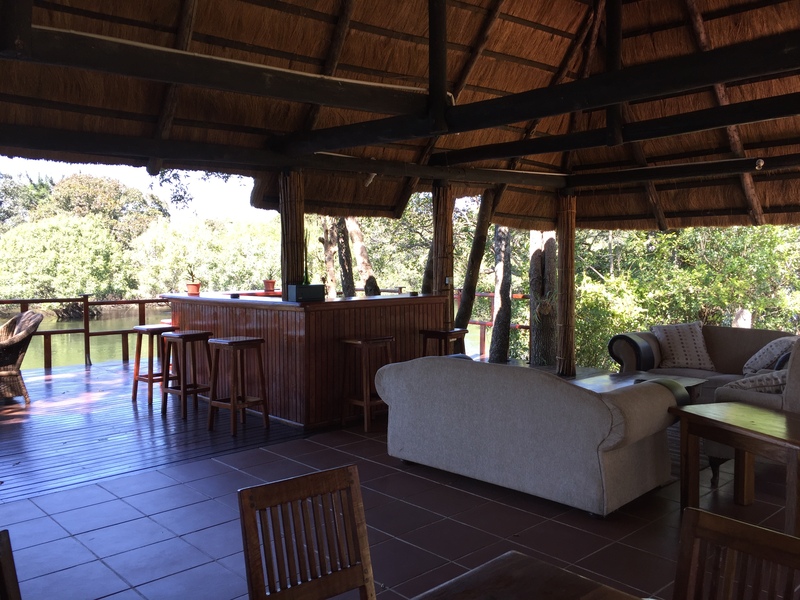 The lodge is on a 143 hectares of private land on the edge of the park. We set off around 5am, a bit later than planned due to a burst pipe leading to the washing machine. That will teach me for trying to sneak in last minute laundry on a holiday morning. 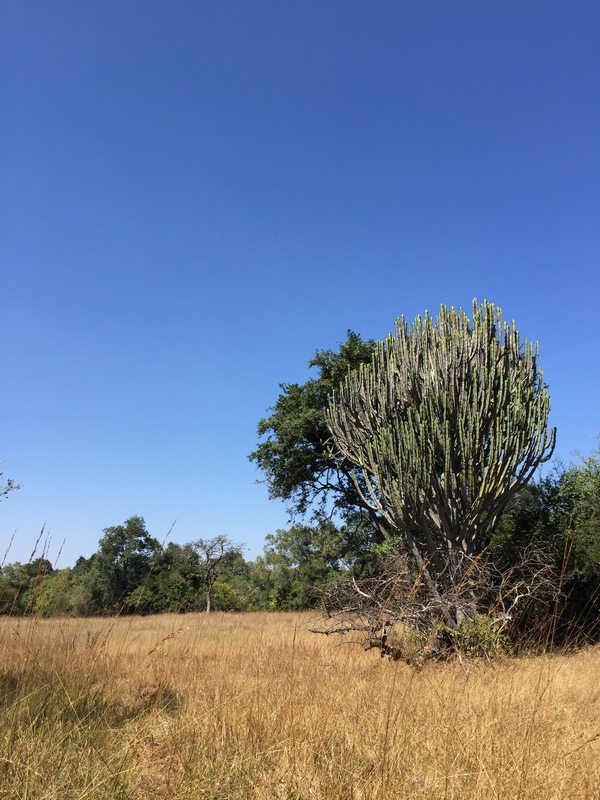 First stop was Lusaka to “quickly” collect some paperwork before carrying on through to Kafue River Lodge, and meeting up with Paul en route. I know, sweet aren’t I; “quickly”. Whilst we were navigating paperwork and Lusaka traffic and buying curtains as we waited, Paul was attending to a problem on his car. 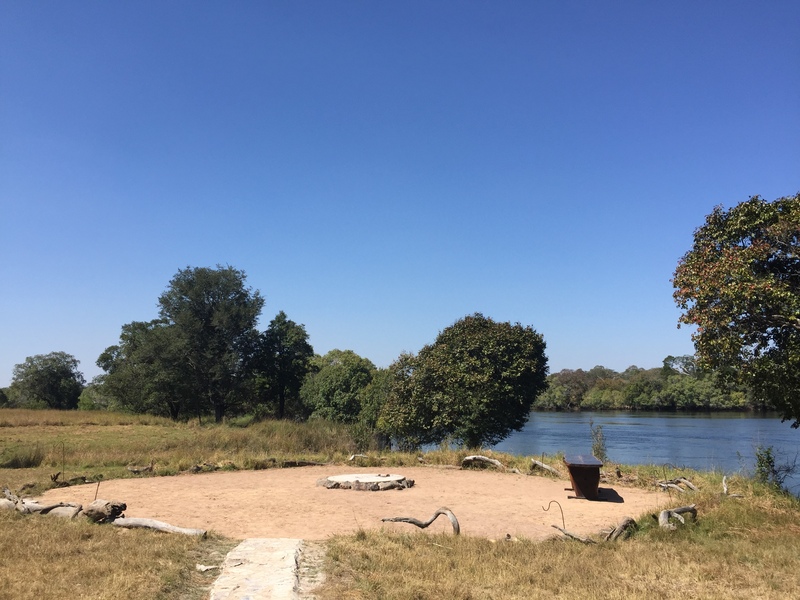 As we neared 1pm it was very apparent that we would be spending the night at Pauls Lusaka spot, Pioneer Camp, Lodge & Safaris. It all worked out perfectly as we finally got to meet his wife, Sophie and their first child, Archie. 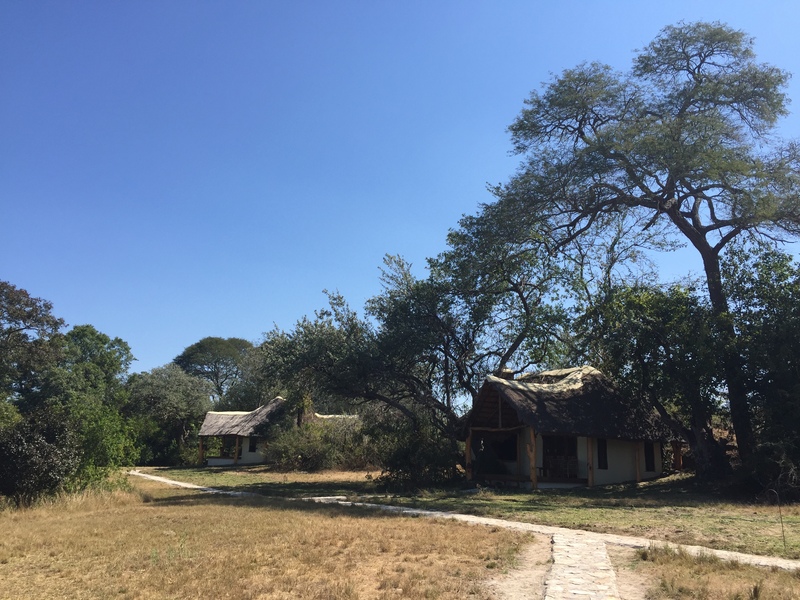 After a lovely evening at Pioneer catching up and getting my fill of British humour and accents (most of you know my love for all things British), we headed to our room for an early night before setting off at 4am, for Kafue River Lodge. I love how they have found ways to reuse things around the lodge; Savanna cider bottles cut and polished off and turned into tumblers. 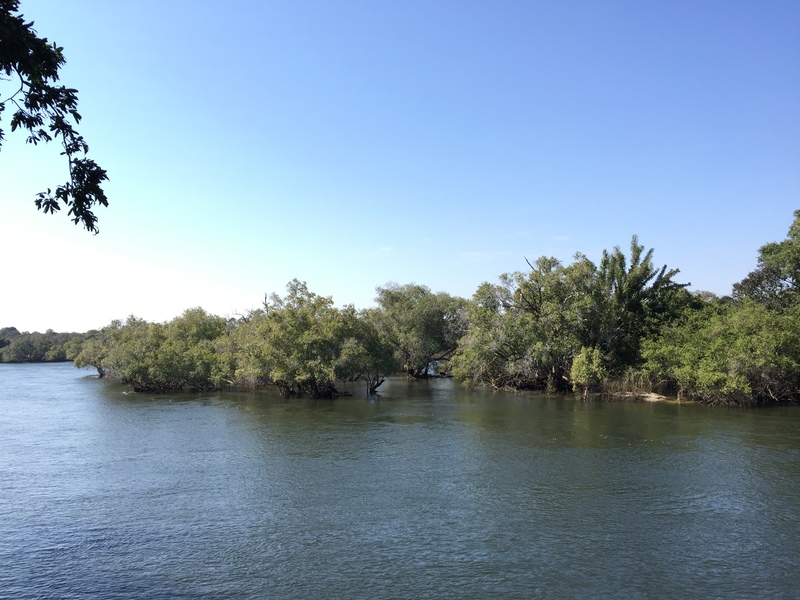 After Erik and I decided to take a scenic route we returned to the correct road and rejoined Paul at the pontoon, and then arrived at Kafue River Lodge. Wow! 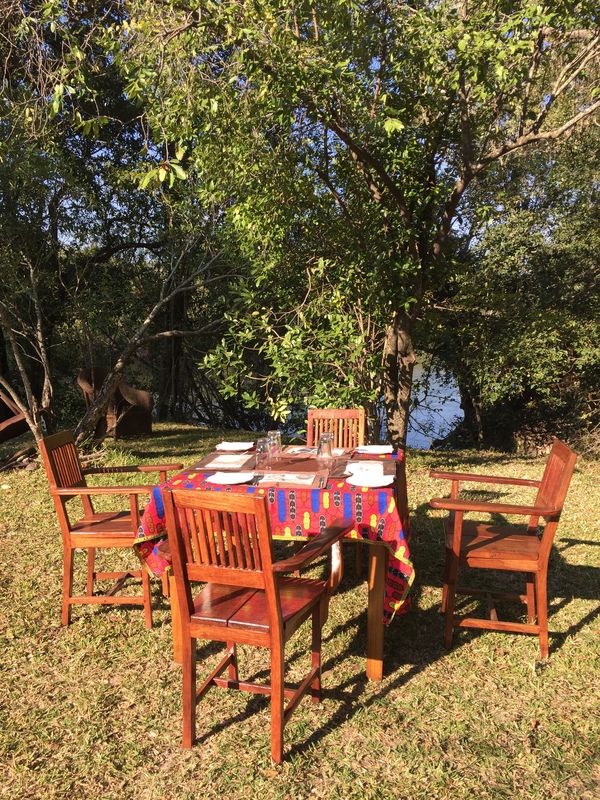 The lodge is set right on the banks of the Kafue River, with just 4 cottages (sleeping 2), and a bit further away a small campsite (4 sites max 4 per site) with a shared lapa and ablutions. 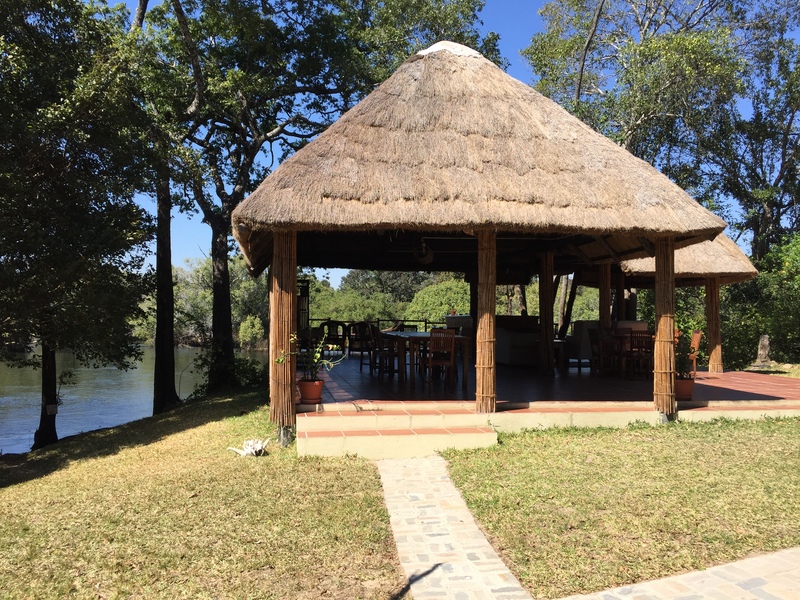 There is another lapa at the main lodge with a deck hanging over the river, this is where sundowners and meals are had. We were very spoilt as we had the place to ourselves. 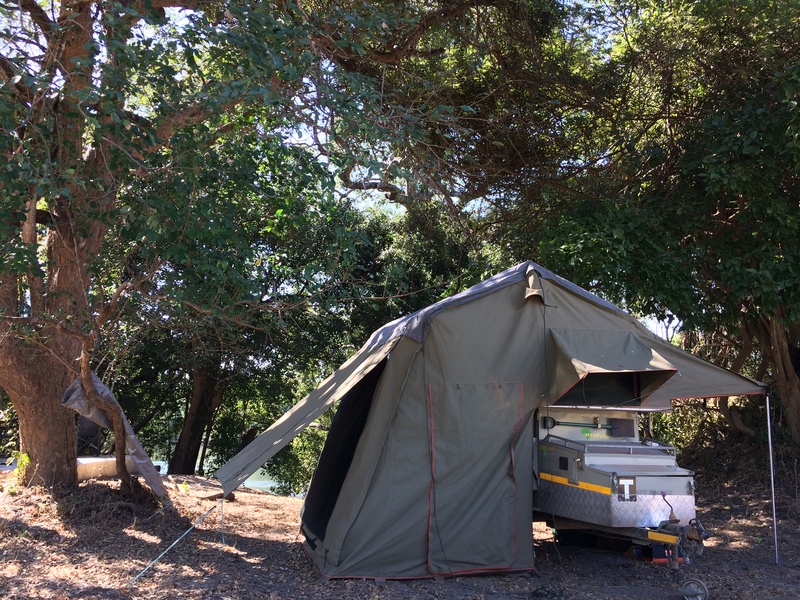 Once we had quickly set up camp and had a quick lunch, the guys organised fishing rods and a cooler box and we hit the river. We spent most of the afternoon and into the evening on the river, chatting and fishing and birding. It was pure bliss. We didn’t see another human soul. Quick showers and we headed to the main lapa for dinner; we decided to let the chef show us his skills and prepare the freshly caught fish and some shima and veg we had brought along. Actually, I forgot to pack both pot and frying pan. With hindsight, it was a brilliant mistake to make! We ate the yellow belly, bream & long nosed bream, and silver barbel & black barbel and I must admit it, although I had serious doubts, it was delicious. 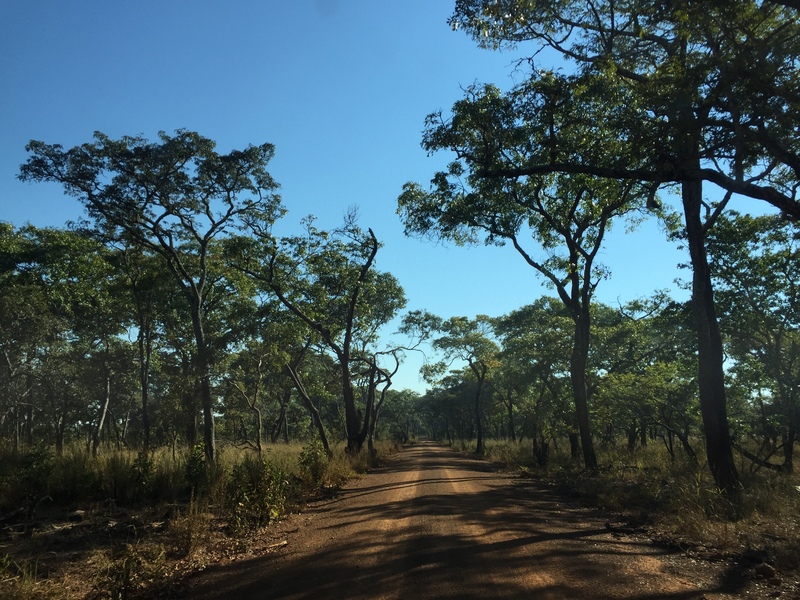 After dinner Paul suggested we take a quick drive behind the lodge to see what we could see … as we could hear the roar of a nearby lion. We found a magnificent lion lazing in the road, calling. I cannot explain the wonderful sound of a lion calling, it is incredible, you actually feel the vibration. Incredible. 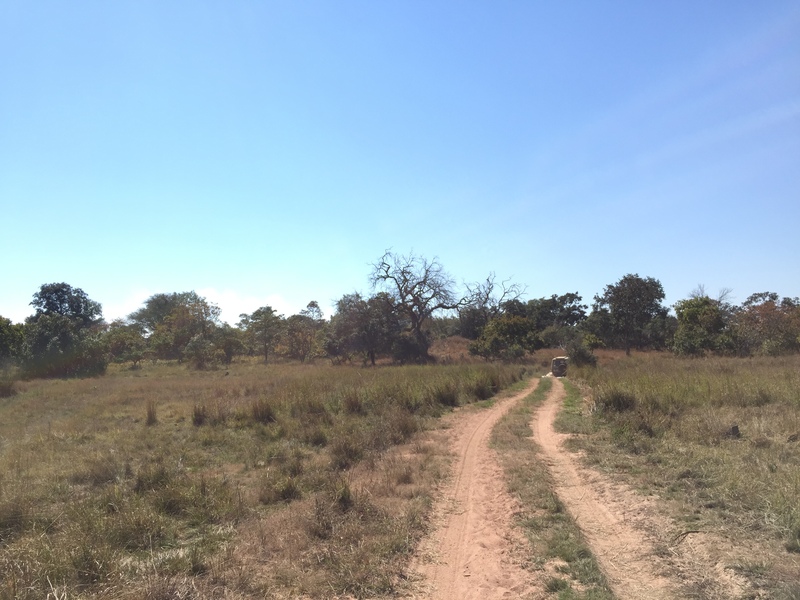 The next morning, we headed over to the main lapa to go for our game drive. 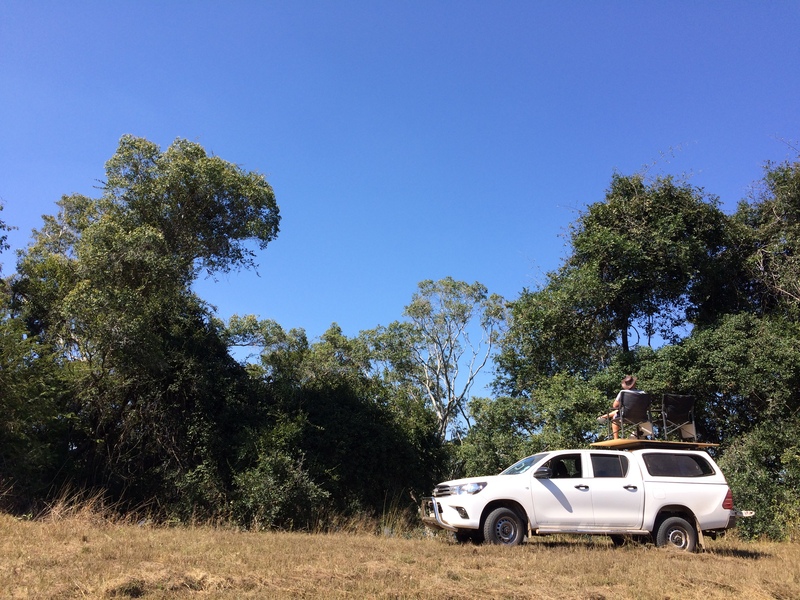 After coffee and rusks on the deck, listening to the call of ground hornbill and hippo, we were bundled into the game drive vehicle, wrapped in fleece lined ponchos and armed with binos. What a fantastic morning; Vellison has to be the best guide I have ever had. His knowledge of flora, fauna and folktale was quite incredible, and with a good sense of humour thrown in as well as being attentive to our comfort. 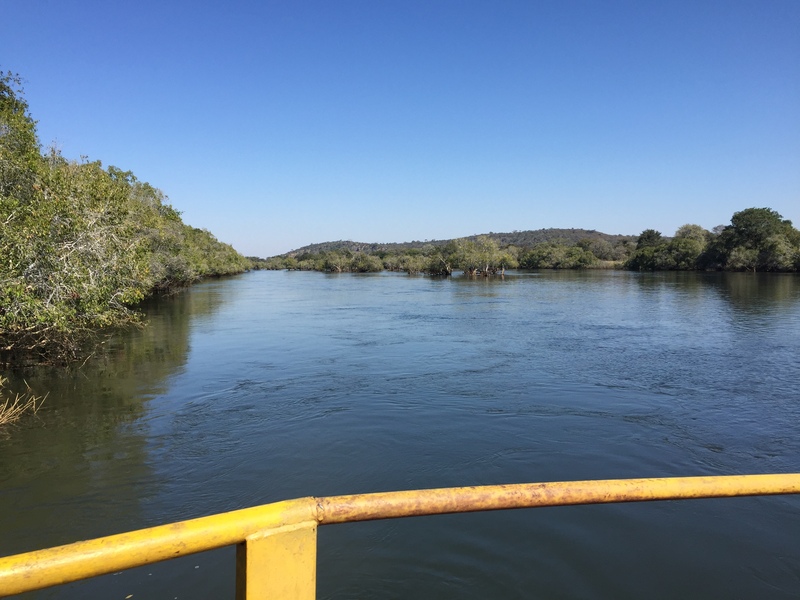 We arrived back mid morning and after showers and brunch we arranged to head back out on the boat for more birding, fishing and hippo dodging. The chef had whipped us up some scones, on my request, so we popped back to collect some tonic and gin and these beasts. He had topped them with cream, a dollop of my marula jelly and a cherry. 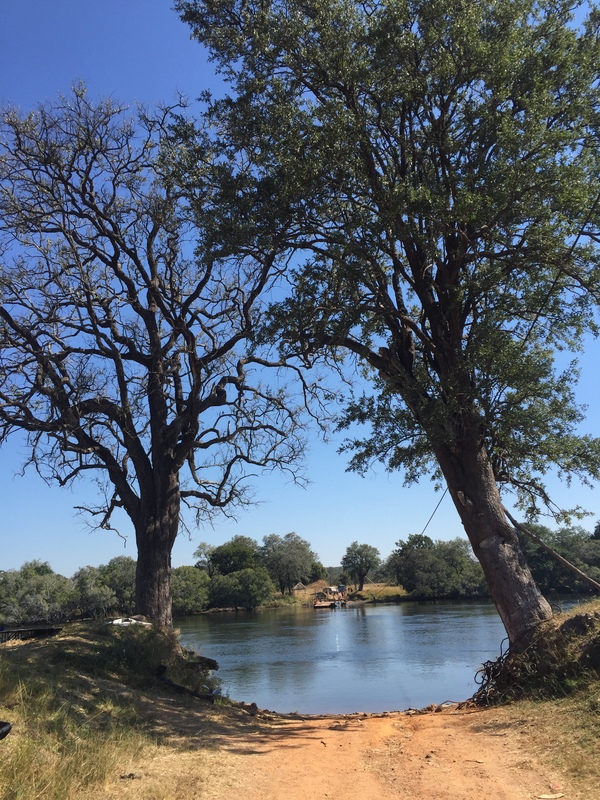 So we had ice cold gin & tonic and freshly baked scones, on a boat on the Kafue River, with a British (West Country)/Zambian game ranger imparting his knowledge and humour as my husband caught our dinner. No words to describe the pure joy. More fish, shima and broccoli for dinner on the main lapa deck, by candlelight, whilst we listened to the grunt of the hippo and distant roar of the lion. After wine, story telling and future holiday plotting, we headed to our tents for sadly, our last night. We headed out for a very quick drive with Vellison on Sunday morning, which was a brilliant choice as guess who we saw on the way out and again on the way back, but right on the road side. We also saw a pair of wattled crane with their baby, which was a fantastic siting. 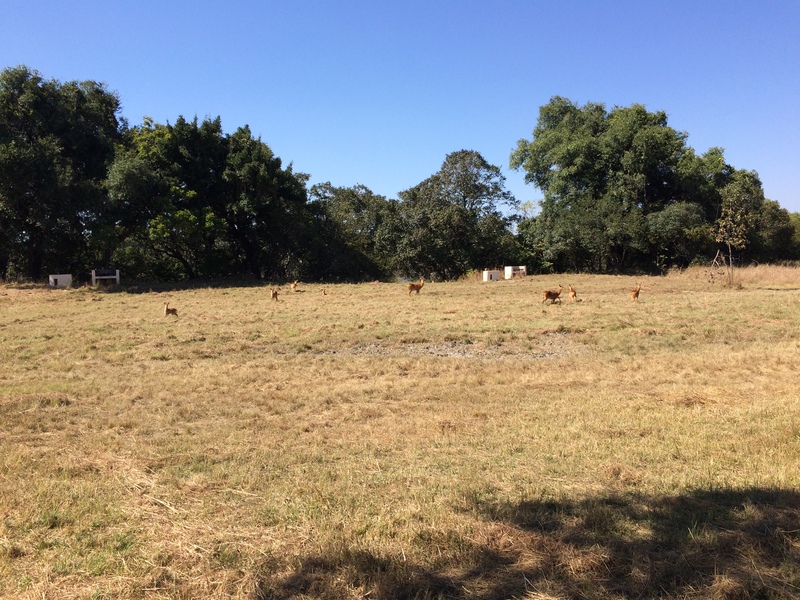 Many more birds, puku, kudu, duiker and another lion! 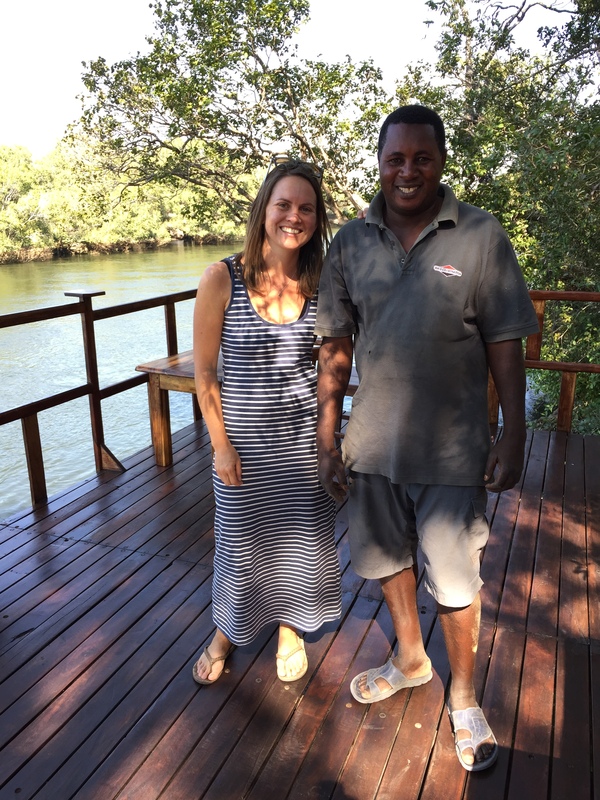 We arrived back to have breakfast with Idos Mulenga (worked in the park since 1986! ), the lodge manage and Paul, before packing up and heading home. What an absolutely wonderful, rejuvenating break. I am going to feed off that for a long while. This place looks amazing. And wow for the Wattled Cranes! I wish! Liza, I only just saw your comment. It was amazing!